Trees are a beautiful and beneficial part of the world around us. Over time trees have generously provided shelter, food and the air we breathe. Trees symbolize the stillness, beauty, and strength of the magic and wonder of life. Trees are beautiful, they create shade, wildlife and add gorgeous scenery to a home. Many homeowners appreciate their trees and do all they can to keep them healthy. Trees can provide extensive benefits to your home. However, living with a tree on your property comes with its risks. How can you know when it’s time to let a tree go? What happens when a tree starts to become unhealthy? They can start to decay over time and the branches can break off. Sometimes, it is often a difficult decision to let a tree go. However, in spite of the most determined efforts, there are cases where trees should be removed. A diseased and aging tree can pose a threat to the safety of your home. What point do you determine when you need to hire professional help? In this article, Winter Park Tree Service provides five reasons why you should hire a professional tree removal service! Fallen or dead trees may appear to be stable, it still can be a danger to your property. Dead trees should not be taken lightly, instead they should be dealt with immediately to dwindle the threat they prose to your home. Every homeowner hates to see or find a dead tree. Once a tree has died, there is nothing more a homeowner can do… except take it down. Removal is necessary because a dead tree will slowly start to lose strength and will no longer be attractive scenery to your home. As the tree starts to break down becoming weaker it will lose its ability to withstand storms. Did you know that strong winds, hail or snow can break off tree branches and bring down a dying tree? The fall of a dead tree can cause massive damage to nearby houses, vehicles and even people. All trees even dead trees need care and tree trimming. It is vital to do it sooner rather than later to keep them healthy and we as a tree service company can help. When the time comes, make sure to use our company, we have certified arborists that have the experience and skills. Sometimes healthy trees can experience unexpected damage. Severe weather of thunderstorms and snowstorms have the potential to damage trees greatly. Lightning can cause another danger to damaging trees. We can offer tree cutting to evaluate the extensive damage to the tree. How can Tree Pruning help? 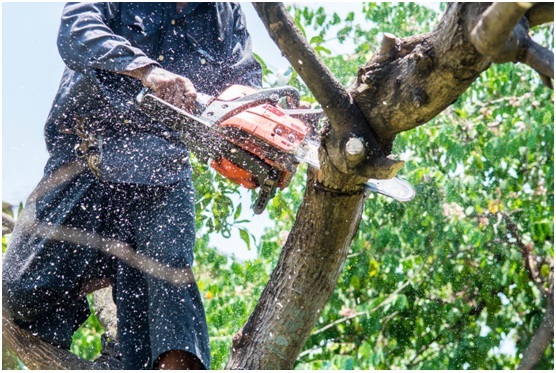 We offer services for trimming and Winter park Tree Pruning for enhancing a tree’s branch structure and correcting significant damage to the tree. Improving the tree’s branch structure is called standard pruning where cutting is made for overall tree’s health. Sometimes branches need trimming because they present a higher risk for safety concerns. We can offer regular fine pruning to help improve the tree’s overall appearance. We offer proper tree trimming for your tree needs. Most homeowners are concerned about the appearance of their trees. The health of a tree is vital to its beauty and longevity. Dead or dying branches need to be removed because they can easily injure someone, a pet, or your vehicle. They can also produce further decay. Trees are alive and growing, which means that their effects on their surroundings can change. However, trees grow and new structures are built around trees. Did you know that roots of nearby trees can disturb the foundation of a homeowners house? A tree that causes these kinds of problems is often removed. Sometimes there are trees around a home that are a problem.These trees are known as difficult trees. Some trees around a home have wood that is naturally weak. Tree removal requires immediate action for trees that are uprooted, insect-infested, stump grinding and diseased trees. Whatever your reason for your tree needs, when you decide what you need to remove a tree, you can trust Tree Service Winter Park that offers superior service and 100% recycling. Trees enhance the value and beauty of any homeowner’s property or business. Trees improve the air quality and contribute to improving people’s health – its nature’s way. We have amazing equipment and certified arborists who can complete your tree needs. For us, no tree removal is too big or complicated to complete. Winter Park Tree Service company is offering a limited special on any job over $1000 when you save $100. Call us today at 407-502-5198 for a same day estimate or visit us for Tree Services near me on our website. Trees are a beautiful and beneficial part of the world around us. Over time trees have generously provided shelter, food and the air we breathe. Trees symbolize the stillness, beauty, and strength of the magic and wonder of life.